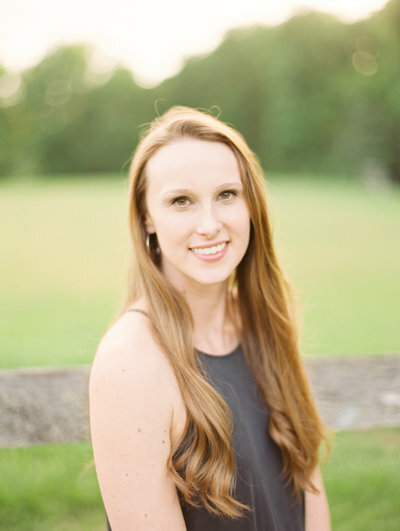 Most of you may not know this, but I actually worked as a wedding planner & coordinator with a local company in Greenville when I first moved here 3.5 years ago! I worked there part time as I worked to grow my photography and accepted two second shooting roles that year as I began my business from the ground up (shout out to Jessi & Casey for taking on this newbie!) As I look back on this role, the word “growth” comes to mind. I entered that job knowing absolutely nothing about weddings, and see now that I learned and experienced things I wouldn’t have otherwise – how to run a small business, how to work with vendors and bring an entire wedding day together, and the list goes on. The Lord was absolutely equipping and growing me through this job to be able to love and serve my clients in my own business, and I got to see first-hand just how incredible the wedding industry community is in Greenville. I also had to overcome a lot of false “identity boxes” as Lara Casey would say – ways I had subconsciously characterized and boxed myself in from the things I didn’t think I could do, or the strengths I didn’t think I could have. “I can’t direct people or hold effective meetings because I’m too much of an introvert” / “People won’t trust me seriously because of my lack of experience” / “I don’t have any clue what I’m doing.” All of these struggles were things the Lord took me through to show me that I CAN do those things because he is able and his strength shows best in my weakness. All lessons accounted for – here are 6 things I learned from being a wedding planner! Wedding Vendors: a main aspect of my job involved working with other vendors – whether that was referrals for brides, coordinating the details leading up to the wedding, or working directly with them on the big day. There’s a whole lot that goes into bringing a wedding day together, from the planner to catering, rentals, florals, hair & makeup, musicians and entertainment, officiants, calligraphers, photography & videography, to cake and the venue. Each of these vendors have different schedules, details to coordinate, goals to achieve on a wedding day, and it’s the planner’s job to make sure it all seamlessly comes together. Brides – I can’t stress the importance of having professional and kind vendors on your team who are experienced and will serve you so well! One thing I always offer to help with is venue/vendor recommendations, so if you’re still searching, let me know how I can help! 2. Timeline: one of the most valuable things I learned as wedding planner was how to craft an efficient timeline that will ease the flow of a wedding day. In a planner’s world, this means thinking of each vendor and all the behind the scenes of setting up, breaking down, even the rehearsal and dinner the night before, every inch of logistics! After learning to look at the schedule as a whole, I can now turn that focus solely to photography. Things like making sure hair & makeup is done by a certain time, knowing when the vendors will have the reception space set-up to be photographed, deciding on transportation timing if my couple has a bus for the wedding party or guests, flow of reception events, etc. Helping my couples plan all of these details in their timeline is something I love walking through with them to ensure everything flows smoothly the day of! 3. Budgeting: as a planner, I learned a lot about the actual numbers and percentages that go towards each aspect of a wedding day, as this was something we focused on with our brides. We always asked them to list their top priorities (food, band, photography, venue, florals) and through this, I learned what things to splurge on and ways to save when it comes to budgeting. 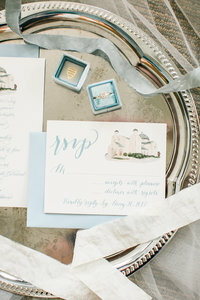 For example, don’t feel like you have to have coozies or a specific type of favor for your guests – I guarantee they won’t leave your wedding thinking, “hey, we didn’t get a favor!” – think of little things like this that you can leave out that will enable you to focus more on what’s most important to you! 4. Make it your own: definitely one of the most important things to remember – make your day YOU! 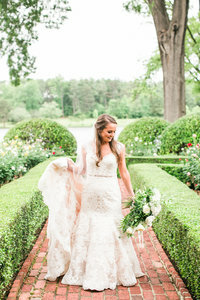 Whether you want to elope in the country, have a brunch wedding with donuts and mimosas, have 3 different cakes because you can’t choose one flavor, drive up to your ceremony in an old classic car, do a petal exit from your ceremony, or nix a typical reception tradition that you feel is expected – this day is yours, so make it just that! Working as a planner, I spent a lot of time in some of the same venues and saw hundreds of different layouts and set-ups – every wedding is always so different, so don’t be afraid to use venues or vendors that your friends are also using! More to come on this later in the blog series! 5. Importance of a planner/coordinator: of course, having this job showed me the tremendous responsibility a planner holds, and the importance of having one. Even if you just hire a “day-of” vendor to help, I will always recommend hiring a planner. 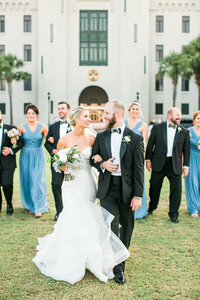 Whether walking through your entire engagement season with them from start to finish, or being able to hand over everything you’ve planned a month out – this takes the stress of you and your family so that someone doesn’t feel the burden of coordinating the day when they should just be enjoying it and celebrating with you! 6. Role of your photographer: almost all of the skills I learned as a planner have translated into being a wedding photographer. It has made me more knowledgeable to be able to guide my couples and their families, to be able to direct, which is a huge part of my role, and above all, reminded me that my relationship with my brides and couples is the most important thing. One of my favorite moments on a wedding day is walking in and giving my bride the biggest hug before I pull out my camera, and I want my couples to already feel like they know me and can trust me fully with their day. It is the greatest honor, and I feel like I have to pinch myself everyday that this is my work. Stay tuned as I continue to share a tip for brides each week moving into the new year! Happy Holidays, friends!